Contrary to popular belief, there are plenty of legal Tennessee sports betting options for those that reside in the state. Titans fans and Grizzlies diehards are placing bets on games throughout the year and cashing out their winnings. How is this possible? Residents of the state are using sports betting sites to place their wagers online. There is often a great deal of confusion concerning the legality of online sports betting in TN, but once you become familiar with the laws that are in place you will understand why so many sports fans use online sportsbooks. To better understand legal sports betting in Tennessee, there are federal and state laws that you should know. The federal government is responsible for the current state of sports betting in America as the overturning of PASPA made it legal for each state to determine their own laws and regulations for legal sports betting within their state. You will be surprised to find out the level of effort that the TN state government has put into certain types of gambling laws compared to others. So that you fully understand your land-based and online options, we will discuss all aspects of legal Tennessee sports betting. 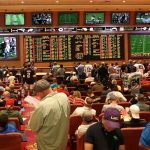 Is Land Based Sports Betting Legal In Tennessee? Tennessee is going through the legality change as legislators had pre-filed two bills for the 2019 session which makes a voter referendum for each county to bring sports betting to their area. SB 0016 passed and sets up a revenue distribution as well as a gaming commission to oversee the industry. Until regulations are set and locations begin to offer sports betting, online sports betting is your only option. In Tennessee, there are no laws that make online sports betting legal or expressly illegal. Simply put, the state has not written any regulations regarding the internet or placing bets online. Many residents choose to bet on sports using the internet because the Tennessee Code does not specify penalties for doing so. When you use offshore sportsbooks, you do not have to worry at all as the operators are governed by an overseas gaming commission. Legal Tennessee sports betting is primarily done online as there are no physical sportsbooks. 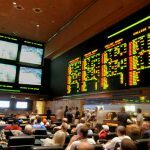 As long as you use a reputable offshore sportsbook, you can enjoy betting on sports without being in violation of non-existent online sports betting laws. Still, you can wager on sports while remaining in the state if you use a legitimate TN sports betting site. You can bet on the Tennessee Titans and all of your other favorite teams from anywhere that you have an internet connection. These sites offer Vegas-style sports betting action without the airfare or hotel stay. 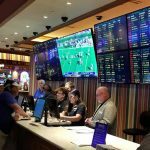 Though there are not places to bet on sports in TN like there are in Nevada, residents often times get more betting options from online sportsbooks. Residents of Tennessee will have to visit a neighboring state for any kind of betting action. The state does not offer commercial casinos or tribal gaming facilities. The positive side to this is that there are plenty of places to bet across the Mississippi border. Players from cities like Memphis and Nashville will have no problem finding a nearby city to play slots and table games. Tennessee sports betting has been coming into the forefront but overall the state has strict requirements on their gambling, including limited charitable gaming. TCA § 3-17-101 through TCA § 3-17-115 describes the Tennessee Nonprofit Gaming law which permits nonprofits to hold an annual game of chance fundraising event. All proceeds must directly benefit the charity, with the law prohibiting 50/50 raffles. Horse racing betting in Tennessee is not illegal, but you will not find any live tracks in the Volunteer State. The state repealed the 1987 Racing Control Act in 2015, which served as the regulatory framework for horse racing. Since being abolished, the state has created a Horse Racing Advisory Committee to research the potential impact of bringing horse racing back to the state. Horse enthusiasts in the state can still bet the ponies using online racebooks. Racebooks allow you to bet on races at Thoroughbred and harness tracks all over the world. The same horse bets that you would place at the track can be placed online, such as win, place, show, and exotic bets. Online racebooks also have horse rebates and extra bonuses just for signing up. Betting on horses in Tennessee is more fun when you use horse betting sites. Sports fans can play daily fantasy sports in Tennessee as much as they’d like. Governor Bill Haslam regulated daily fantasy sports by signing the Fantasy Sports Act of 2016. Tennessee was the third state to regulate the contests and create a legal framework. The Fantasy Sports Act requires operators to pay a 6% tax on revenue generated by TN residents and also stipulates that certain consumer protections must be in place. All participants in contests must be at least 18 years old. Can I Bet Real Money On Sports In Tennessee? Yes, online sportsbooks allow you to bet real money on sports in Tennessee. You can bet on the Super Bowl, March Madness, the Masters, and other major sporting events. Real money sports betting sites have instant deposit options so that you can start betting on sports the same day. When it comes time to collect your winnings, methods like bitcoin ensure that your cash is delivered within hours. Betting real money on sports in Tennessee is the most exciting way to wager. Is Online Sports Betting Safe In Tennessee? Online sports betting is extremely safe within the state. You have no legal barriers when it comes betting on sports online, and you can count on reputable sports betting sites. These sites use the latest technology to keep all of your financial and personal information protected. When you use a legitimate sportsbook, online sports betting is safe in Tennessee. Will Sports Betting In Tennessee Ever Be Legal? State lawmakers have expressed interest in regulating sports betting and it is being brought down to the county level. 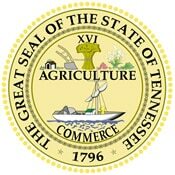 Tennessee will be the first state to bring the industry home in this method; however, it breaks it down even further, allowing for each area to determine their own standards. 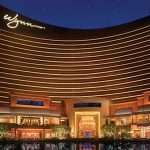 Without any casinos, the operators that will accept wagers has yet to be determined. It is likely they will follow suit with other states who allow for licensed operators to be located at bars/restaurants, liquor stores, and other various businesses. Will I Get Arrested For Sports Betting In Tennessee? No, there is not a risk of getting arrested for sports betting in Tennessee. This does, of course, depend on where you plan on placing your bets. If using an offshore online sportsbook for legal Tennessee sports betting, law enforcement will have no reason to arrest you. If you were attempting bookmaking or using an underground bookmaker, then you would be subject to legal penalties. What Is the Sports Betting Age In Tennessee? The sports betting age in Tennessee is 21 years old. Standard to most states, once you are 21 or older you can have your pick of any online sportsbook. Keep in mind that legal sports betting sites are licensed in other countries like the UK where the betting age may be lower. You still need to wait until after your 21st birthday before joining an online sportsbook. The legal age to bet on sports in TN always takes precedence over the age required by the sportsbook. Are There Mobile Sports Betting Apps Available In Tennessee? There are mobile sports betting apps available in Tennessee for an even more convenient sports betting experience. Mobile sportsbooks have the same selection of sports and betting options that you would find on the desktop site. You can still fund your account, claim bonuses, wager on live betting odds, and more. 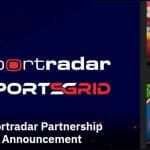 Instead of having to download an actual app, most sites will offer a mobile-optimized sportsbook for your iOS or Android device. Simply visit the sports betting site from you’re your smartphone or tablet to be redirected to the mobile sportsbook. Where Is The Best Place To Bet On Sports In Tennessee? The best place to bet on sports in Tennessee is from your laptop. There is nothing more convenient than being able to bet on the Memphis Grizzlies from the comfort of your own home. You can even put the game on TV or live stream the main event from the online sportsbook. Live betting odds let you wager on sports in real-time. Even if there were physical sportsbooks in Tennessee, there are exclusive benefits like huge bonuses that you can only get when betting online. Should I Use A Local Bookie In Tennessee? You should never use a local bookie in Tennessee because it is both illegal and dangerous. Bookies do not answer to any regulatory body, meaning that there is no guarantee that you will ever see winnings. You could also get yourself into making a wager that could come with serious consequences should you lose. Using a local bookmaker could end with both you and the bookie serving jail time. Can I Bet On Sports With My Friends In Tennessee? Legally, you cannot bet on sports with your friends in Tennessee. The state does not permit social gambling on any level. Tenn. Code Ann. §39-17-501 through §39-17- 509 discusses gambling definitions along with offenses, and there are no exclusions for social gambling. You and your friends can join an online sportsbook where you will all be able to choose from thousands of wagering options.